This is one day your child eagerly waits for. The birthday has always been a special occasion for any child and their birthday birth day parties are what they look forward to. Kids are always attracted to aliens and spacecrafts. Designing the birthday venue as a space is a great idea. We’ve got tons of items which can be used to portray the “Space” theme, such as our Grip Space Gun, Mini Sound Blaster guns, Double End Laser Sword and the Laser Light Show are few of these items. This is a unique way to celebrate your child’s birthday. This style has become very popular over last couple of years. 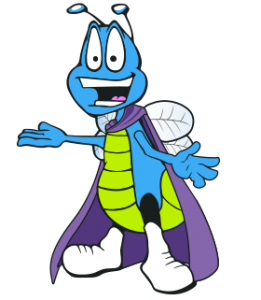 It sets a mystical yet very funny ambience that kids of all ages love. 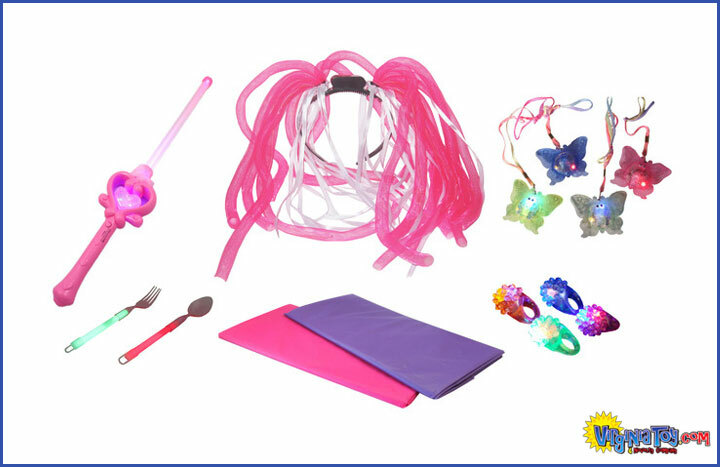 We include everything you need for an 8 person glow party in our WeGlow Party Kit. Or mix and match and build your own glow party with items like our our WeGlow Glow Lantern, WeGlow Glow Necklaces. 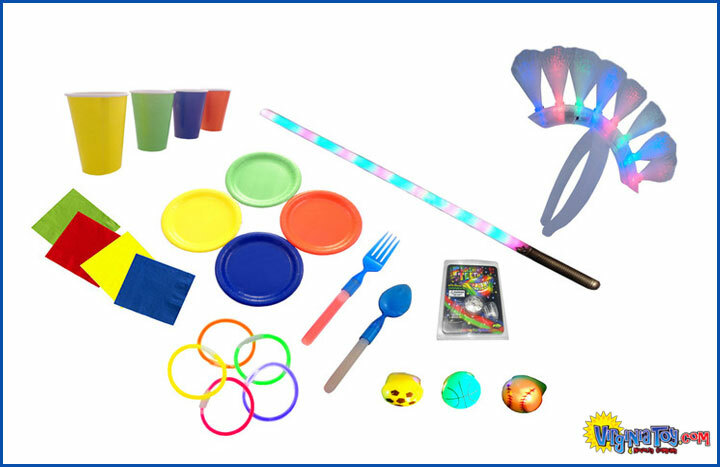 Download our Glow Party Hot Sheet and for even more ideas. This is another very popular birthday party idea. 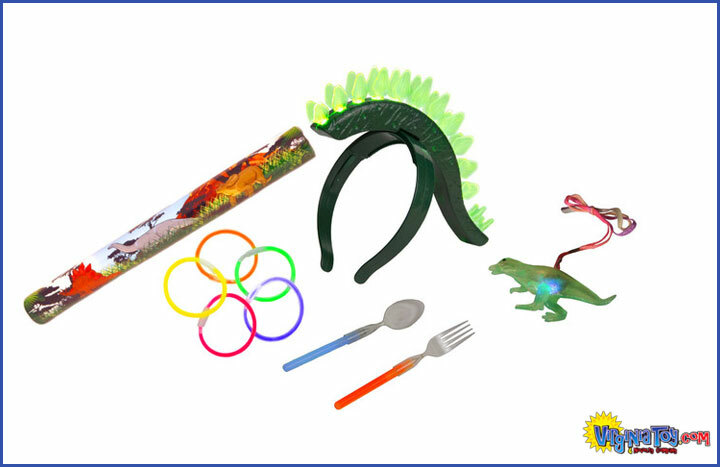 Design the venue with few touches from the Jurassic Age and add a few things your kid and his friends would love to play with, like our exclusive Dino Headband, Dinosaur Baton, Triceratops Sword and plenty of other fun dino items. There’s no need for an aquarium to do an under the sea theme party. 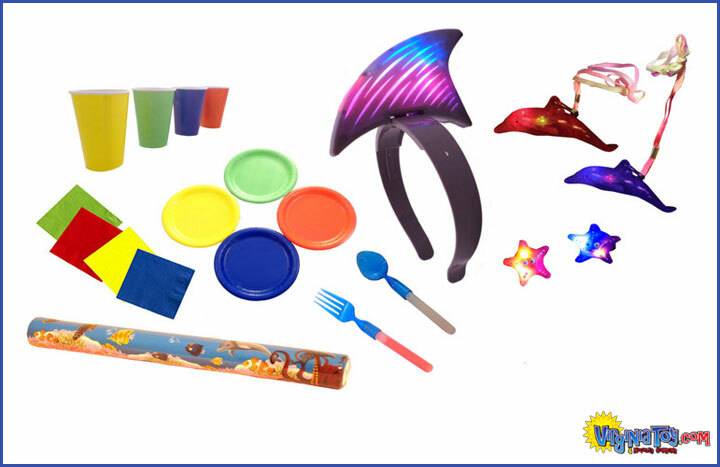 Just let the kids’ imagination loose with a few key make-believe items like our Mermaid Baton, Dolphin Bubble Gun, Urchin Flashing Ring, Sea Life Baton, Shark Fin Headband. 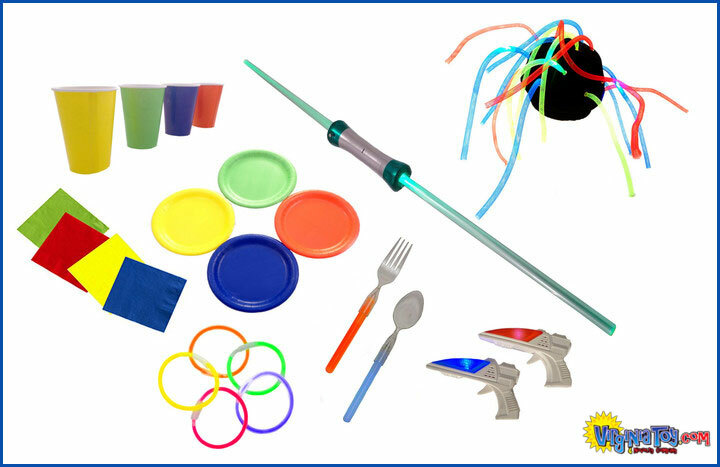 All could be used to light up your child’s birthday party and make it more happening. Still an all-time favorite birthday party themes for your little princes. Get her a princes dress and with a crown on her head. Give fairy tale books as present to the kids who attend the party. When it comes to a Princes party there are many options you can choose from in order to make the theme more real; stuff like Blue Hair Bow Bopper, Red Hair Bow Bopper, Lighted Butterfly Wand, Fuzzy Heart Wand!